This post is coauthored by Pam Dineva and Kim Dowd, design pair extraordinaires. We shared 40 hours a week, a screen, a product, client relations and a problem space. Now we’re on a quest to codify the tenets of pair design. Consultancies and embedded design teams are owning more of the product creation process, expanding into early stage research and validation at one end and engineering to create prototypes and products at the other end. The traditional waterfall design process is changing to a faster, more iterative one. A designer working in this emerging system of product creation faces many challenges. A design pairing framework solves most of them. 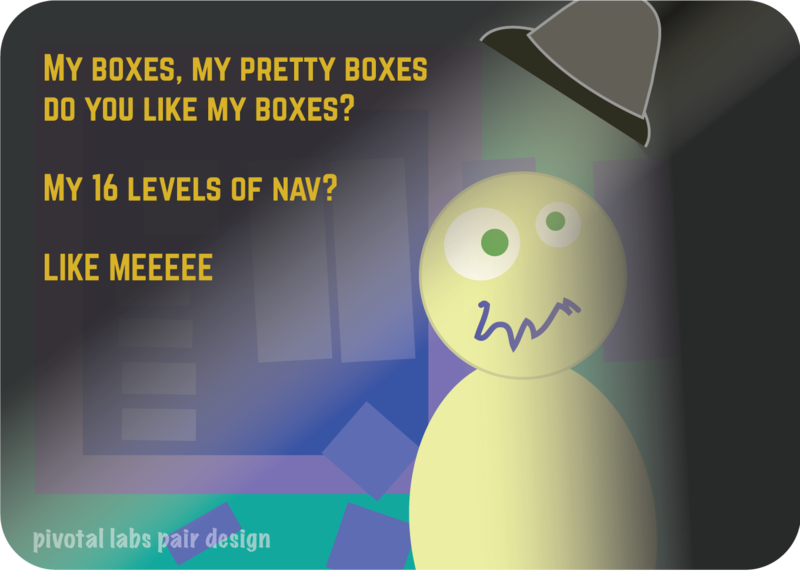 …felt like you were the crazy feelings designer monster who must stay in wireframe cage. 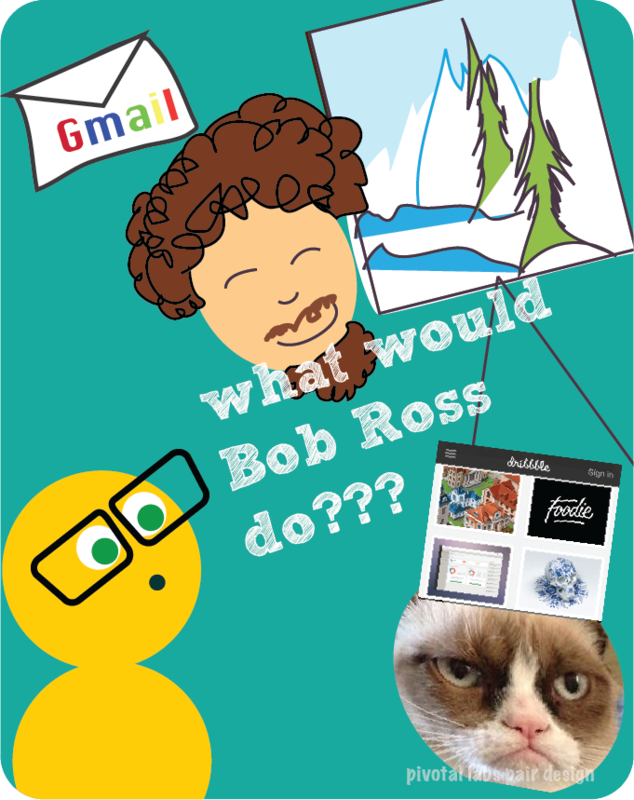 …gone down the rabbit hole of shiny, distracting things — the email monster, blogger bits, dribbles, the Oatmeal, Pattern Tap, Bob Ross, and sparkling parallax screens of wonder — instead of addressing that you didn’t know how to go forward and weren’t sure about your design direction? …indoctrinated the marketing intern into the world of your project because no one understands and someone needs to understand all six flavors of quarks before you can get feedback on subatomic pie charts. Collaborate with you like a battle rapper because they were also dunked in the same pool of client system that involves flavors of quark or whatever sorcery they are making. Offer you a design review, all the time, and be someone you respect, like the Dalai Lama, but with fancy glasses. Make you feel the warm fuzzies when you share a mouse and keyboard. All. The. Time. 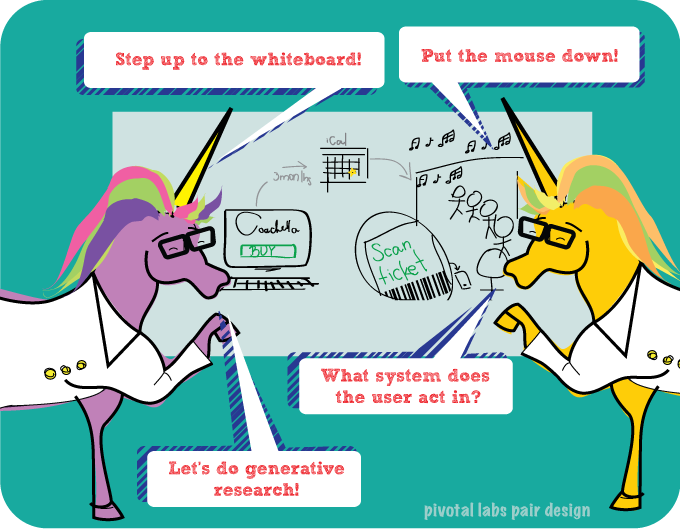 Empower you to be a unicorn rocket scientist of conversational wonder about systems-level decisions, and the feedback rainbows of user testing. Inspire you away from drawing the same thing over and over with their mental rolodex of design knowledge. Work when you want to take a day off and the project won’t follow you to Napa, like a ferris wheel of chaos in your head. Help you learn through osmosis as you watch and understand the inner workings of another designer. We thought so too, as we pushed two monitors side by side, plugged them in and let another designer share a very personal workflow: keyboard shortcuts, photoshop workspace, naming conventions, file organization systems, even the daily craigslist alert! Try it out and tell us, how do you pair? 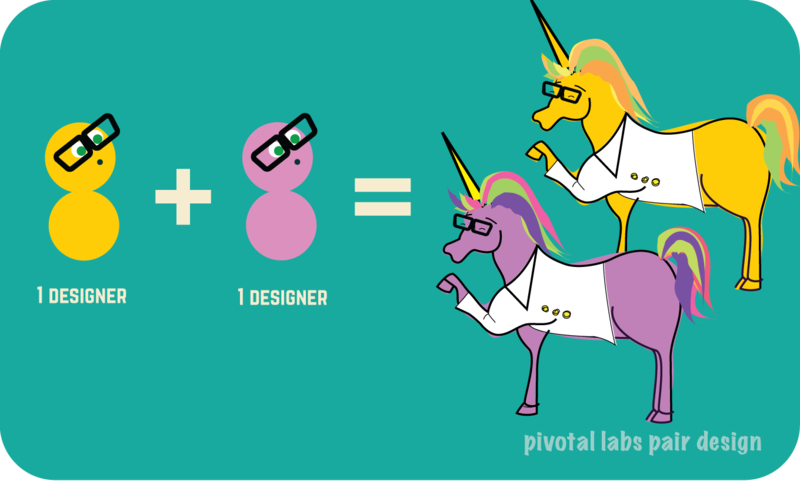 Product Designer at Pivotal Labs SF.